The staff is friendly, kind and very helpful. The location is great because you can discover Vienna by foot. And many stores, cafés and facilites are very near. A metro station is one block away, which is very convinient. The bed is confortable and everything works perfectly The place is very very clean and everything you need in the bathroom is there. I had so much fun and i'm sure to book the same place when I come back to Vienna ! Everything was just perfect! Location was super, the room was everything we needed and it was fully stock! The apartment is worth the money. It’s really nice and comfortable. The location is good, train and tram stations very close by. The hosts were really nice. The kitchen and bathroom were great. We were welcomed with smiles, a bottle of water, and a bowl of fruit. 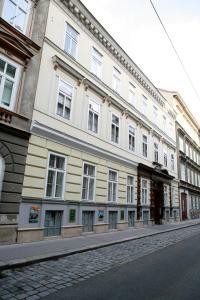 Great property at the good location, close to the city center with friendly staff. Great value. Very cosy and silent place to stay for the family. Garage for the car parking very close to the property. Spacious and clean. 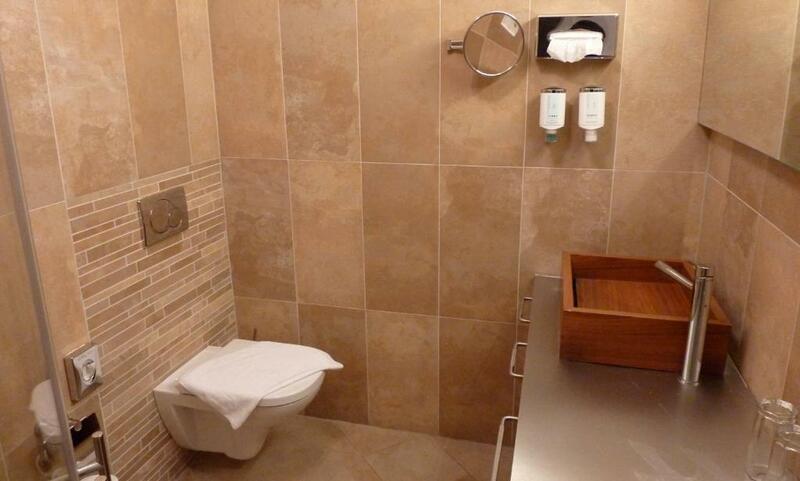 Wonderful bathroom and all the basic necessities for a short, self-catering stay. Lock in a great price for La Scala Apartments – rated 8.7 by recent guests! La Scala Apartments This rating is a reflection of how the property compares to the industry standard when it comes to price, facilities and services available. It's based on a self-evaluation by the property. Use this rating to help choose your stay! One of our best sellers in Vienna! La Scala Apartments is set in a historic building in a quiet side street in Vienna’s third district, only a 5-minute walk from Belvedere Palace and 350 feet from Rennweg Train Station. Free WiFi is available. Each room and apartment is individually furnished and features a luxury bathroom and a flat-screen cable TV with CD and DVD players. The apartments at the La Scala additionally feature a kitchen with a dishwasher and a tea/coffee maker. The Rennweg Station provides direct connections to Vienna Airport on the S7 rail line. The Ringstraße boulevard and Vienna’s city center can be reached in a 10-minute tram ride. When would you like to stay at La Scala Apartments? 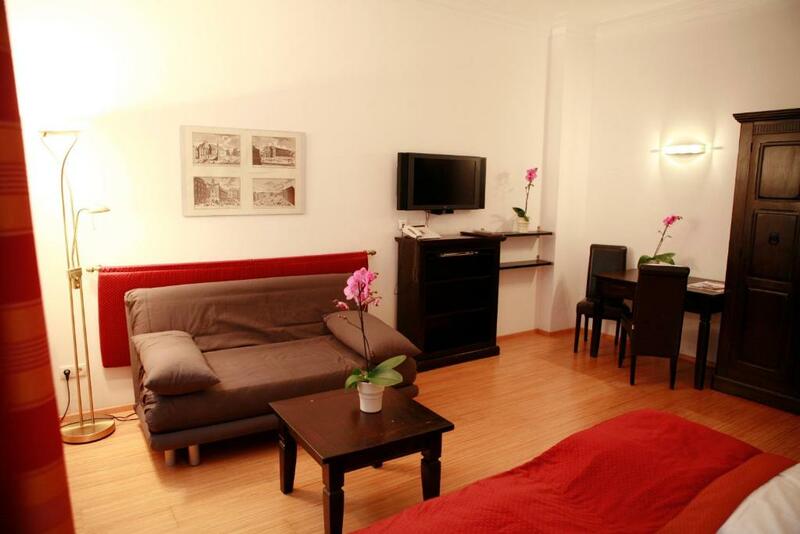 Individually furnished apartment with a luxury bathroom, a fully equipped kitchen, and a flat-screen cable TV. House Rules La Scala Apartments takes special requests – add in the next step! All children from 2 to 6 year are charged EUR 10 per person per night for extra beds. 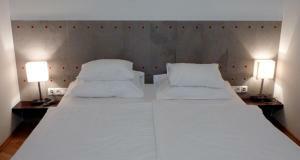 All children from 2 to 6 year are charged EUR 10 per person per night when using existing beds. La Scala Apartments accepts these cards and reserves the right to temporarily hold an amount prior to arrival. Please inform the property of your estimated time of arrival one day before the day of arrival. You will then receive the code for check-in. Please note, there is an additional charge of 20.00 EUR for late check-in between 22:00 o'clock and 24:00 o'clock. Please note that it is not possible to cancel reserved parking spaces. Please note that property is strictly nonsmoking. There is only weekly cleaning service provided. There is often noise from the garden and sometimes a strong chemical smell blows from the garden through the windows. cheap price, big rooms, clean and comfortable. Less chance to interactive receiption. The only "negative" point is the fact that it's not so close to the city centre. However, it is very close to the Belvedere Museum. Apart from that, no bad things at all. There were no keys, all doors had a digital password, what made things much easier. The receptionist was very friendly and gave us a lot of tips about the city, showed the main attraction on a map and told us the best times to visit. We got an upgrade and ended up staying at a 6-person apartment. 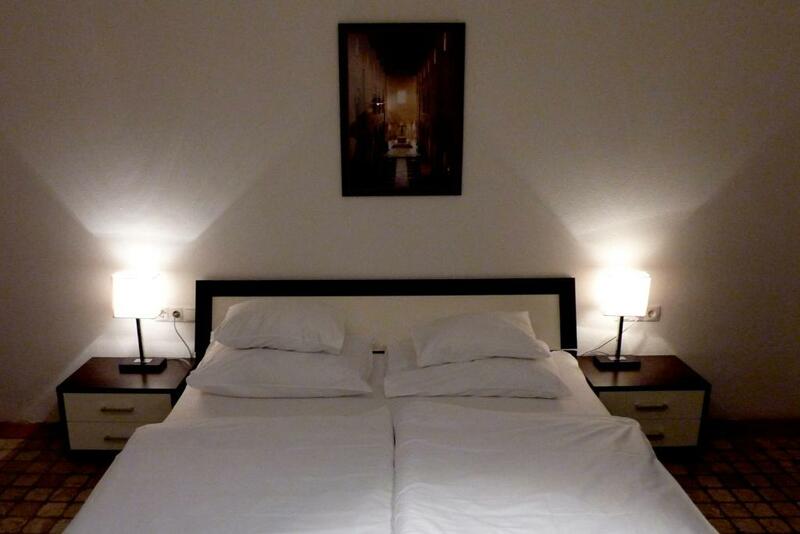 The place was extremely comfortable, the kitchen was excellent and the room was very clean. Huge bathroom with a double sink. Moreover, wifi was also very good. La Scala Apartments are exactly as they are described. Cosy, well furnished, clean, spacious. Bathroom is huge and well equipped, bed is extra large and very good combination of hard/soft mattress. Kitchen with all necessary gear. Stylish entrance, retro look, and modern inside. Location very good, walking distance from the very center of the city (for people who don't mind walking). Excellent choice, all in all! When I was booking the apartments, I didn't see the information about additional payment for cleaning, which is more than price for renting. If we stay more than 1 night it would be ok. But just for one night - it was the price, which we didn't expect. The hotel couldn't provide us apartment for one more night - as they said to us, it was fully booked. I think the booking should show total price during the booking process (with all cleaning prices and taxes), and not after booking is confirmed, and you can't cancel it. If I knew it before, I would rent more than 1 night, or didn't rent at all. That was a disappointing thing for us. I did not like much the warm light in the room, but this is just my personal opinion. I know some people like this for relaxing, but I felt a bit of low energy with that. I was interrupted one of the afternoons by some auditors at my room who were checking the whole apartment, so I had to let them in while preparing myself to leave. I was in the room number 5 and there is a special way to open the door otherwise you cannot get in. I could not open my room's door one of the nights and I had to look for someone else in the reception to help me with that. It was very late at night and I bit embarrassing too. It was a very large apartment and I had plenty of space for myself. All facilities you need are just right there! There were a bath and a hairdryer as well. The owner was helpful and gave me loads of tips about what to do in the city and how to use the public transport. When I got to the place late at night, they had left me some fruits and water, so I found this very nice and I consider this kindness a result of a very good customer service skills. I also got an email in advance from Mario with everything I should know in order to get to the building and my room. Nothing to dislike, really. It was great. 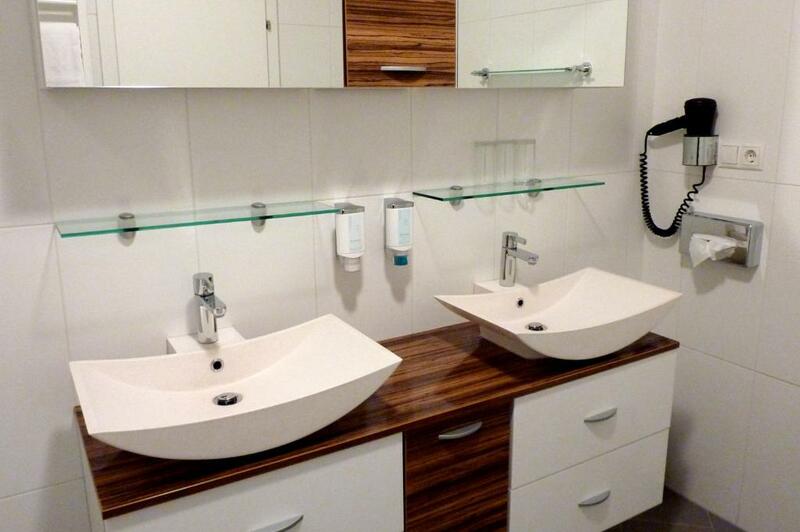 wc very good , bathtub very big , and a sealing window, huge tv, dishwasher, easy acces to train and tram a big plus plus, fruit given at the wellcome, supermarket close by for budget travel, and close to one of the main atractions in the city. A full body mirror would be perfect, since my gril was smal it was funny to se her trying to see her self in the tall face mirror. the only improvement really the rest very good. The receptionist didnt speak english. 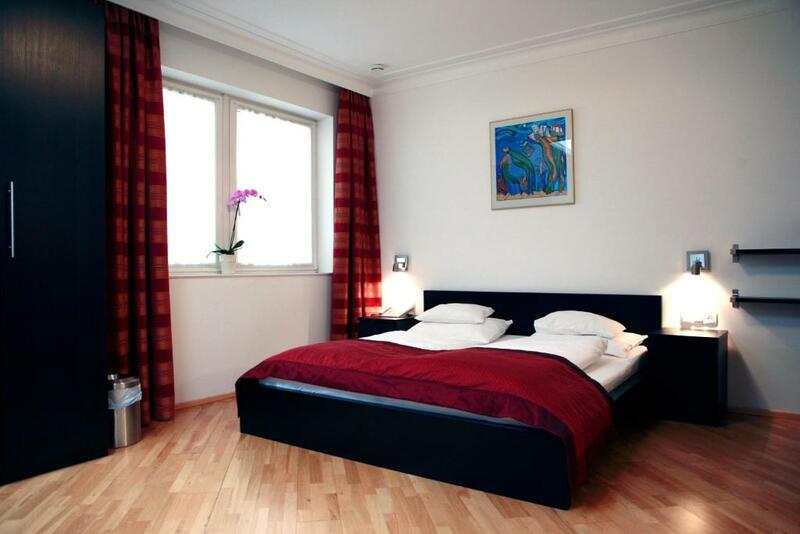 The cleaning is not included in the price and its very high in you rent appartament for 1 night. The reseptionist can't give information about parking on the street, cost of the garage are highh. Very beautiful room with lot of space, very good bad, everything was perfect.